Google Chrome has been the user friendly and widely used internet browser in the world. A lot of features are embedded into it to serve its users better and better. It is updated in a regular basis to protect users with security measures and fixing the bugs. But we often see some errors while updating. Sometimes you might see an error when trying to check for updates in Google Chrome's "About Google Chrome" box. Here are the error codes that you usually get during Chrome update. Issue : It means that Google Chrome can't be upgraded in its current directory. Solution : You have to check which version of Google Chrome you're running by looking at the version number in the About Google Chrome box. If the box lists something other than "Google Chrome" (e.g. "Chromium"), then this error is expected. Only Google Chrome supports updating. You can download Google Chrome from http://www.google.com/chrome. Chromium is what you get if you download the source code and build the browser yourself, or copy a build from someone who built it from the source. Issue : It means that Google Chrome fails to communicate with Google Update. Solution : You have to check if you're running Vista/ 7 and you have configured Google Chrome to always run as administrator. This is a known issue with the Google Chrome auto-updating mechanism and can be avoided by simply running Google Chrome as a normal user. Issue : It means some unexpected issue. Solution : Check the details in help forum. Issue : It means the update was downloaded successfully, but it failed to install properly. Solution : You can try restarting your computer. Then check your Windows Task Manager and see if GoogleUpdate.exe or GoogleUpdateOnDemand.exe appears in the list of processes. Then you can try updating again through the browser again. In case you observe the message "Checking for updates" and a little icon that spins forever, it means that Google Update was unable to communicate with Google Chrome. 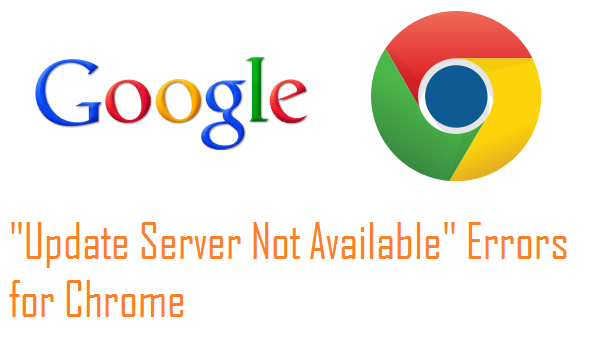 The ultimate solution for this issue is you must be using the latest version of Google Chrome, You can download from http://www.google.com/chrome. If these steps don't fix the problem, you are required to report the problem to Google Chrome team and wait for an update on that issue.